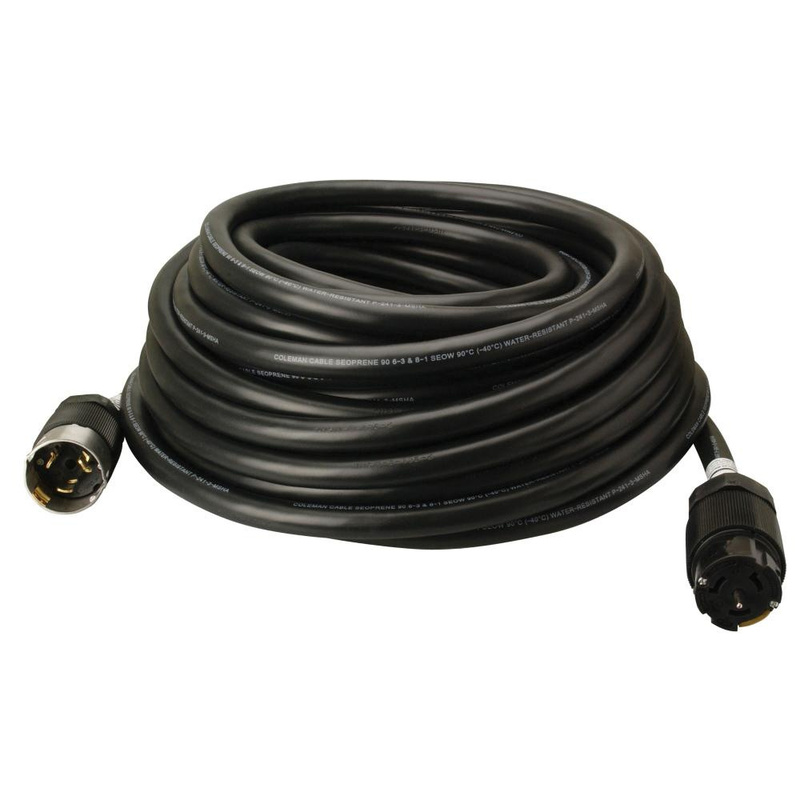 Coleman Cable 6/3-8/1 California standard SEOW portable cord in black color, has outer diameter of 0.868-Inch. This 100-ft bare copper cable has current rating of 50-Amps and voltage rating of 125/250-Volts. Nylon body and back shell, neoprene cord gasket and stainless steel plug shroud offers added durability. Explicitly it is suitable for use with temporary power distribution centers with input current of 50-Amps, 125/250-Volt AC with 3-Pole and 4-Wire.